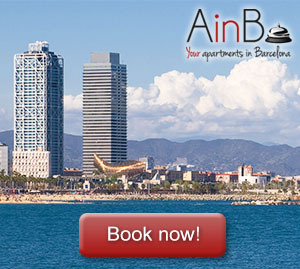 So, what can we do in Barcelona on Christmas? In this post, we suggest some plans to enjoy your visit to this amazing city during this magical time. While talking about Chirstmas decoration, there is a shop that we can’t miss: Navidecor. With it mantra “A Christmas World”, Navidecor sells all kind of Christmas articles. Crèches, Christmas trees, Christmas lights, all sizes Santa Claus figures… everything you can imagine related to Christmas is in this store. We can easily find and visit this curious shop from this apartment in Las Ramblas. These nativity scene representations are especially common in Spain. This way, on Christmas we find plenty of crèches on the streets and churches. The most known crèche of Barcelona is located in St Jaume square, just next to the city hall. The designer of the representation changes every year. This year, Jordi Darder surprised with an aerial crèche with led illumination. This is a perfect touch of modernity for this ancestral tradition. For those who like the traditional style of nativity scene, there is a traditional crèche in Frederic Marès Museum, located just a few meters away from St Jaume square. Would you like to enjoy a great Christmas atmosphere surrounded by one of the most iconic gothic cathedrals of Europe? Santa Llúcia Christmas Market is your place. From 23rd November to 25th December, Cathedral square is full of small stands where we find handmade traditional articles such as “caganers”, “caga tiós” or tambourine and hand drums (ideal to sing Christmas carols). But Santa Llúcia Market is not the only one in Barcelona. Next to Sagrada Familia, we find Sagrada Familia Christmas Market, where several stands offer not only traditional items, but also traditional and delicious Christmas gastronomy such as sweet potatoes, roasted chestnuts, nougat or chocolate with churros. If you don’t like these traditional plans, don’t worry! There are also different possibilities waiting for you. You can have a funny evening ice-skating in the ice rink located in La Maquinista mall. This sport is more difficult than it seems when we watch on TV, so take care while performing your tricks. A great cultural plan for Christmas time is visiting Palau de la Música. This modernistic concert hall is a breath-taking construction designed by the Catalan architect Lluís Domènech I Montaner. Additionally, a wide range of great concerts is performed on Christmas. I am so excited about the upcoming Christmas event, I have never been to Barcelona though I may have plan to visit it next year. We go for family holidays to Quebec normally. thanks for sharing this post.